Eddy was great to work with! Our home sold quickly (3 offers in the first few days of listing), and he helped us with the complex process of closing this sale. This was our first time selling a home, and we had a million questions. He was very patient and answered every question - usually within a few hours. Finding an agent that will help you understand the buying process is much more important than finding an agent that will sell you a house. Eddy Price is more in tune with what your new homes requisites are as a buyer. Our expectations were met and exceeded. As each new phase of finding the right home for us unfolded, from finding the right local, to finding the right mortgage broker, to finding inspections that were done by professionals. In every aspect of purchasing our new home, Eddy Price was a professional as well. 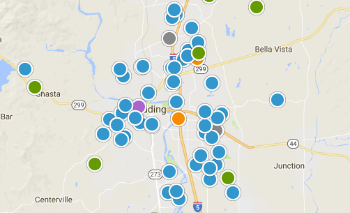 We will use his knowledge of Redding and the housing market in our next dream home quest. Eddy was very informative, professional and ALWAYS available for any question, no matter how big or small we had. We recently purchased our first home. After firing our first realtor because he wouldn't listen, or inform us of important details of properties we'd looked at, we found Eddy. We highly recommend Eddy, and will use his expertise for any future real estate transactions. I have known and worked with dozens of Realtors over the past 50 years. Eddy Price stands above all the ones I've dealt with. His is professional and knowledgeable. Most important, he cares about his clients and speaks the truth, even though his client may want to hear otherwise. He knows his stuff and is a pleasure to deal with. You won't find better representation, anywhere Eddy sold one house for me and we bought 2 homes for me, all within the past 4 years. There were problems with each of the deals due to financing. Eddy was able to handle all of the issues. Eddie Price was great with us! We were very picky in what we were looking for, and Eddie showed us only places that were within our specifications and our budget! He was prompt in responding to our questions and requests, and made himself available when we needed him. He was honest and dedicated to our search for a new home. We definitely recommend Eddie's services!